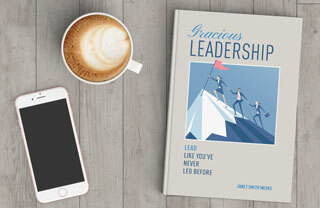 We are excited to offer exclusive, signed copies of Gracious Leadership: Lead Like You’ve Never Led Before on our website. The cost of each book is $24.95 plus applicable tax. This price includes FREE SHIPPING regardless of the quantity of books purchased. Gracious Leadership is also available on Amazon in hardback and e-book versions.